From the 14th to 16th of June 2017, the 34th LocWorld conference—the second this year, will be held in Barcelona, Spain. 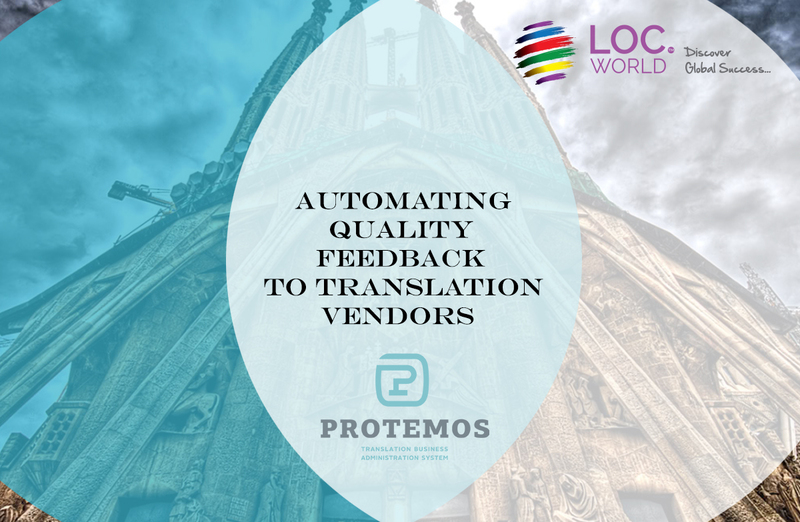 LocWorld is one of the largest international events for business representatives in the translation and localisation industry, and Protemos has been invited there as a guest speaker. The CEO of the company, Vladimir Kukharenko, will give a speech called "Automating Quality Feedback for Translation Vendors", and will talk about how appropriate and timely feedback regarding the quality of their work, regularly sent to a translator, becomes an effective tool for their learning and motivation.